Tercek reveals the inner workings of the biggest cultural and economic change since the industrial revolution. 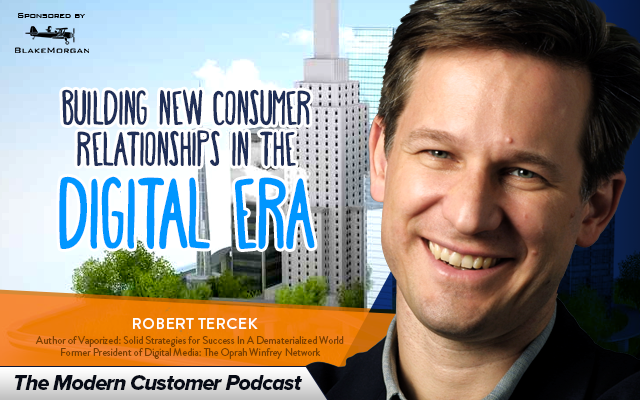 Tercek is a business futurist and digital media pioneer. In his 22-year career, Tercek has launched startup ventures and served in executive leadership roles at major media companies including Sony and MTV. In this podcast he talks about how goods become information intensive they begin to lose the characteristics of physical products and take on the properties of a service. How has the connected consumer created the “activated audience” and the “activated consumer”? When consumers are always connected, they become a force that commands the attention of marketing execs in every industry. What are the implications for brands that consumers now have the power to shape trends, influence product development and shape prices, access and product design? How can brands in retail create innovative experiences including game-like experiences, digital delights and check-ins to engage the customer in-store? What does a “software-defined” society look like?